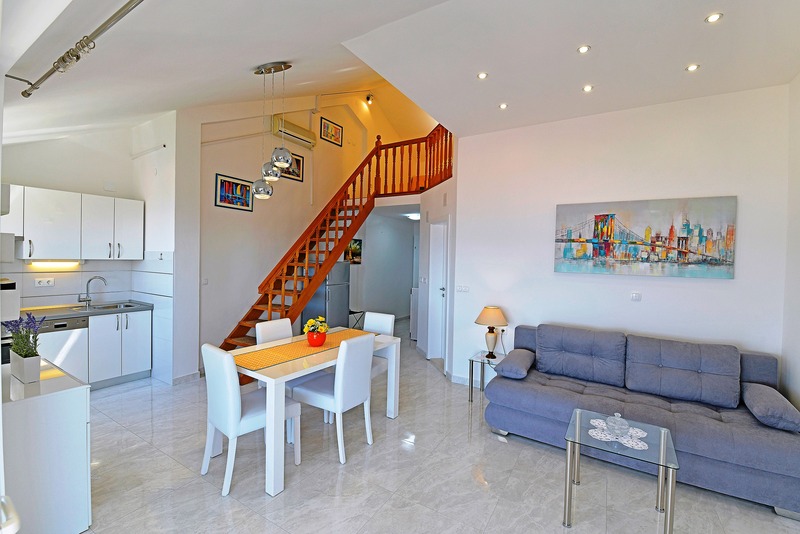 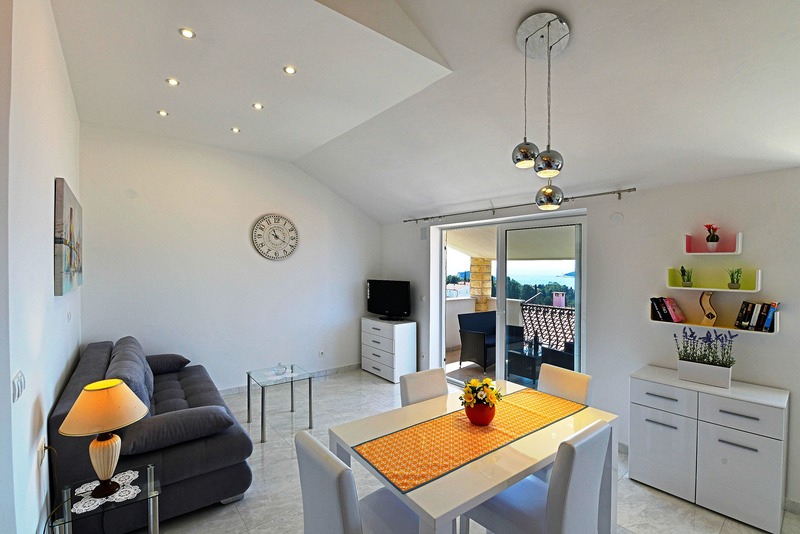 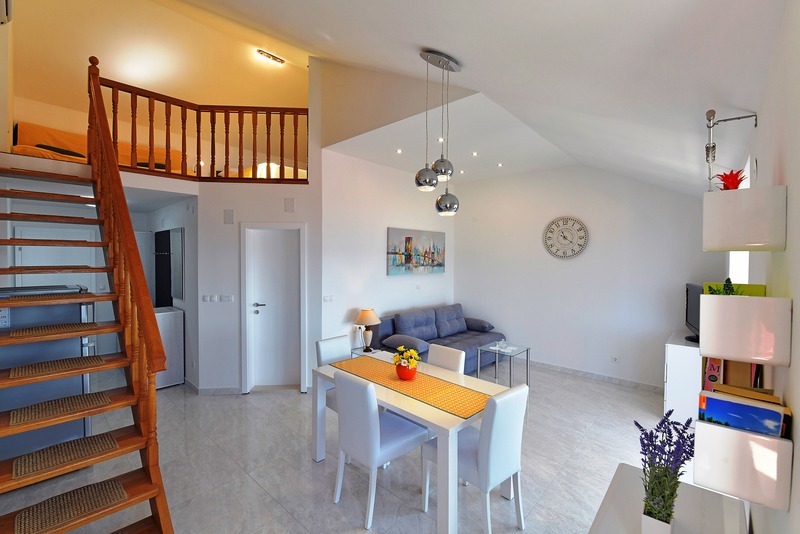 Apartment Yellow is located on the second floor, 55 m2, oriented towards the south, and is suitable for 2. 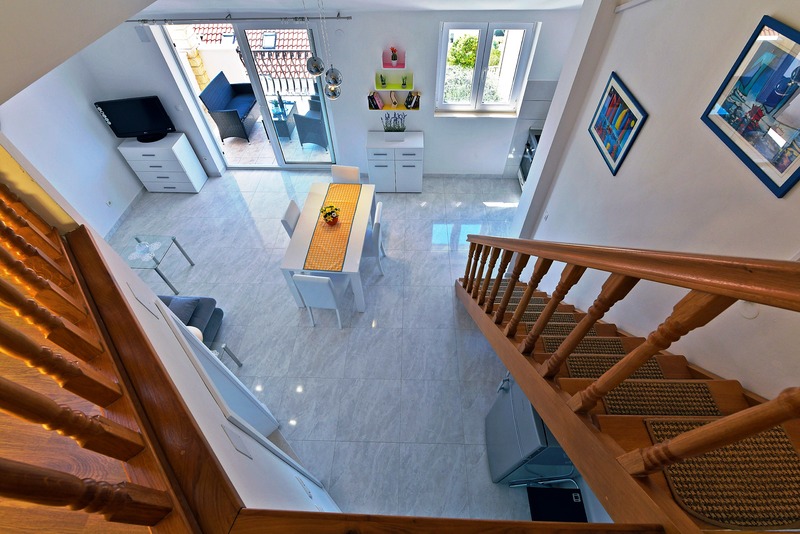 Situated on two levels with interior stairs. 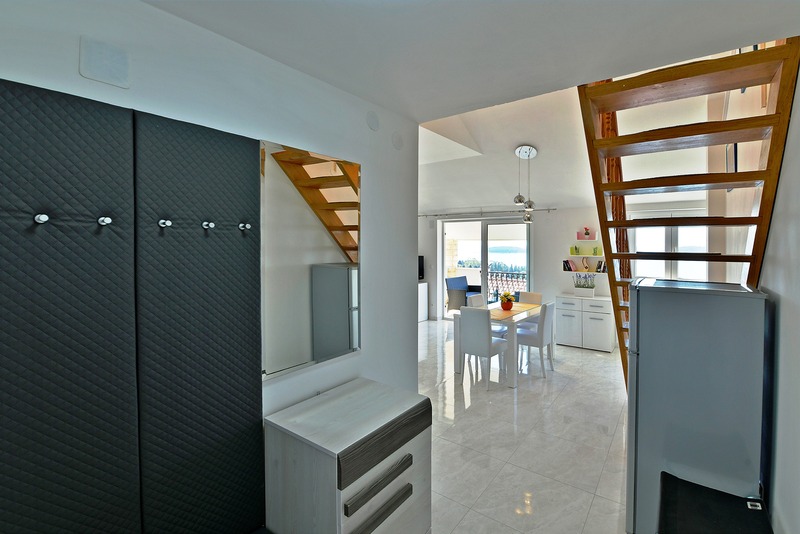 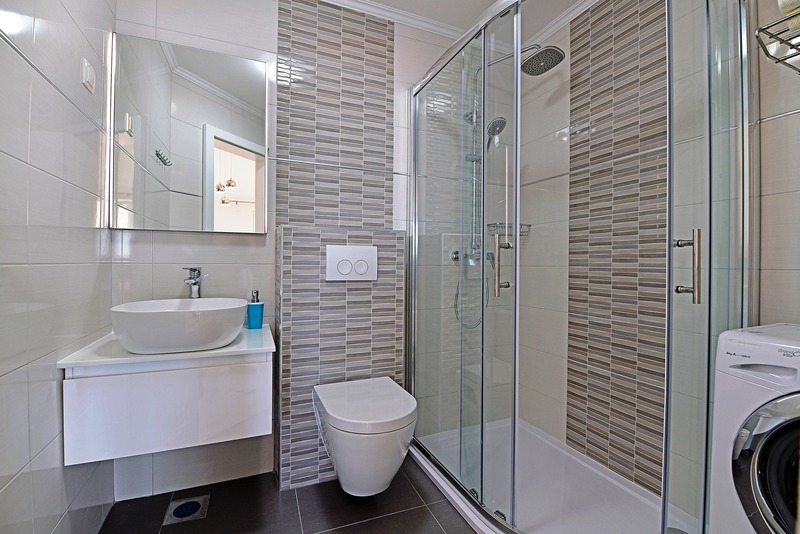 On the lower floor is a living room, kitchen with dining room and bathroom with toilet, shower and washing machine. 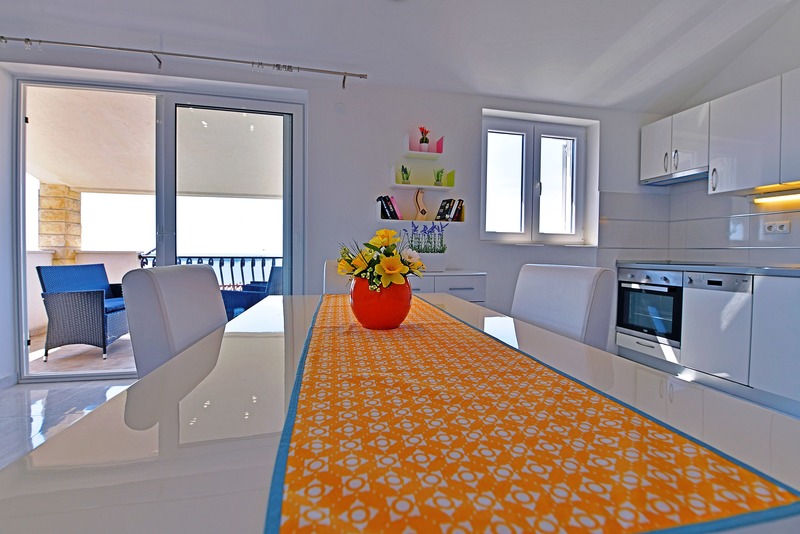 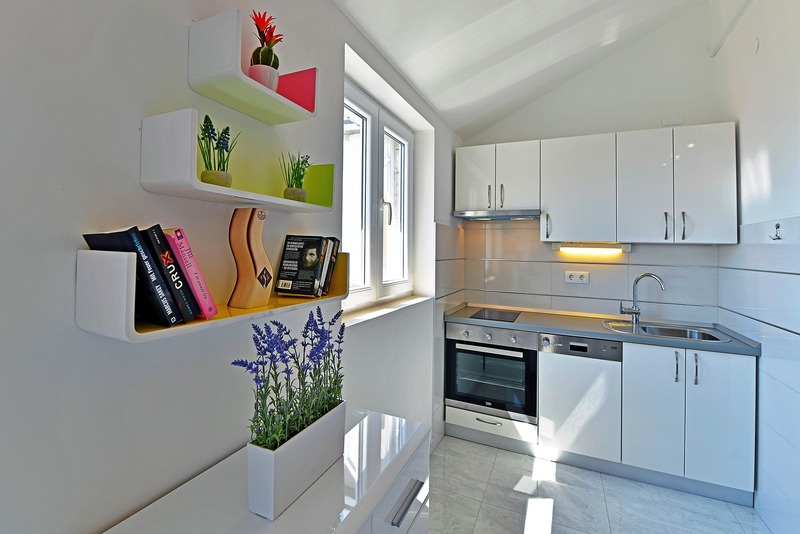 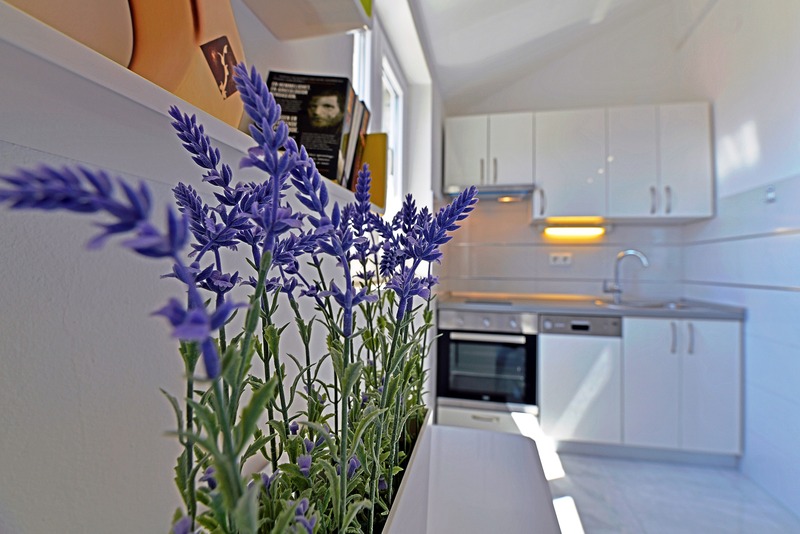 The kitchen is fully equipped (electric stove, oven, refrigerator, dishwasher, dishes and cutlery). 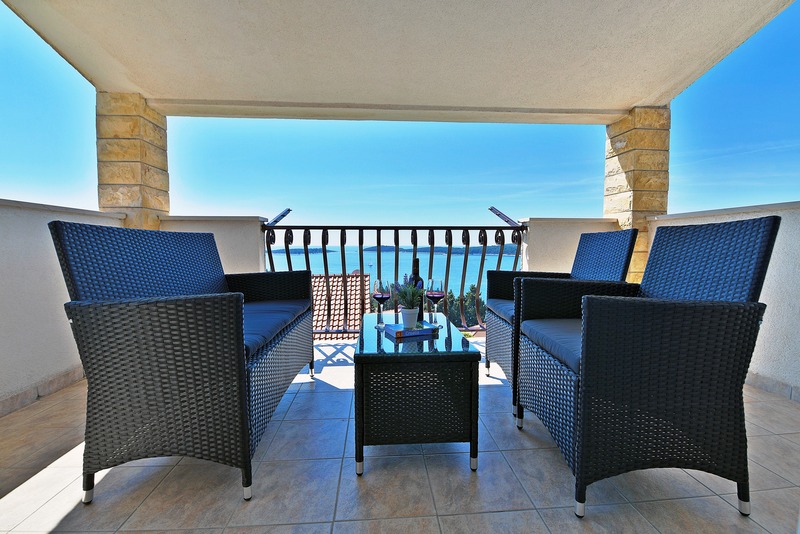 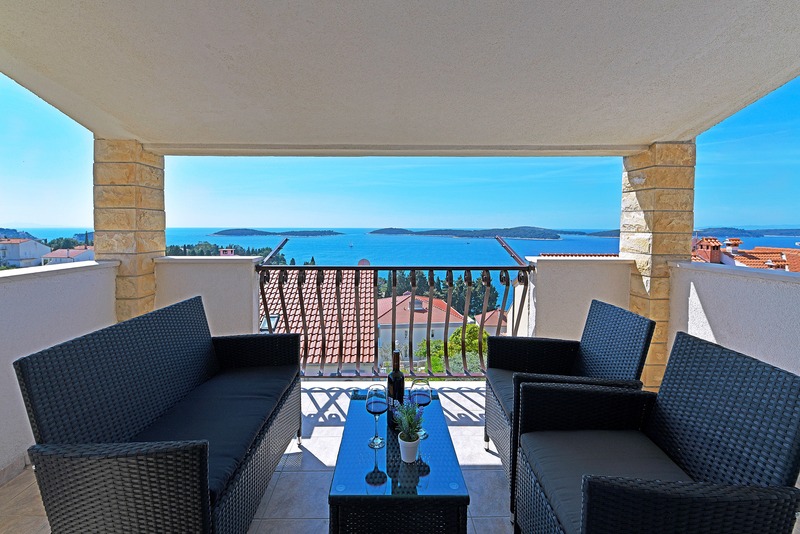 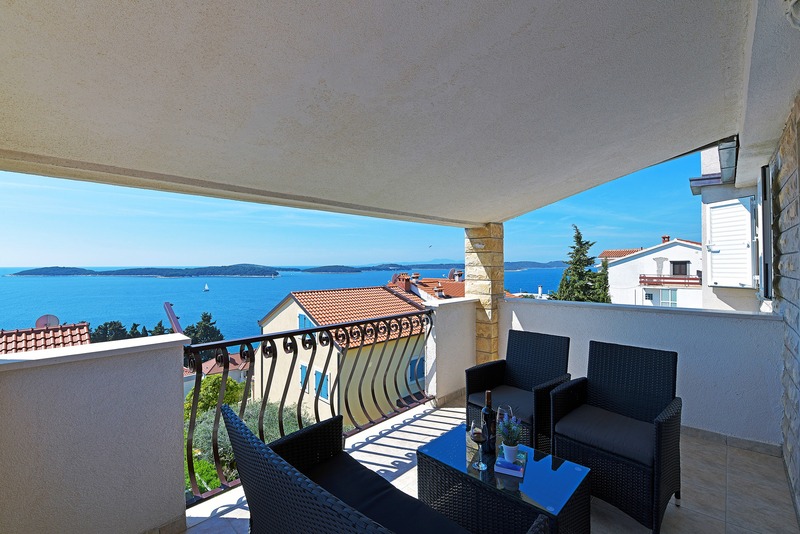 Living room has exit to a covered balcony (10m2) with marvelous seaview. 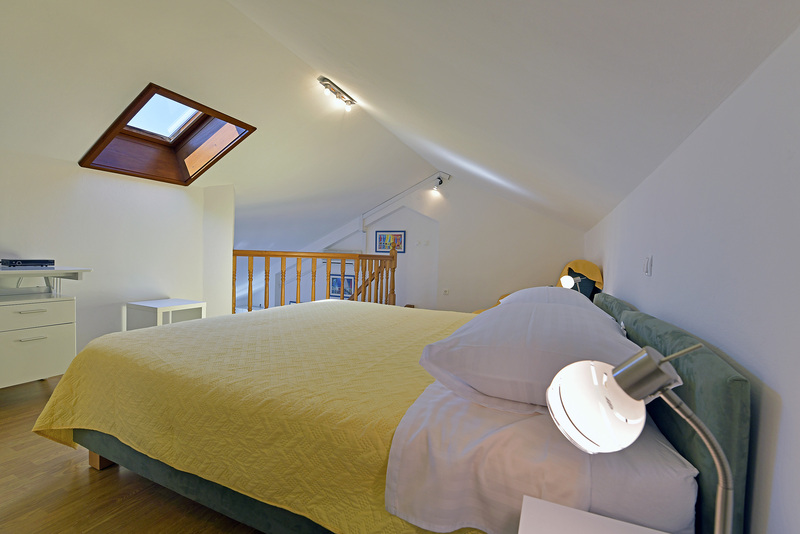 Internal stairs lead to the upper-level sleeping area where there is a double bed and sofa . 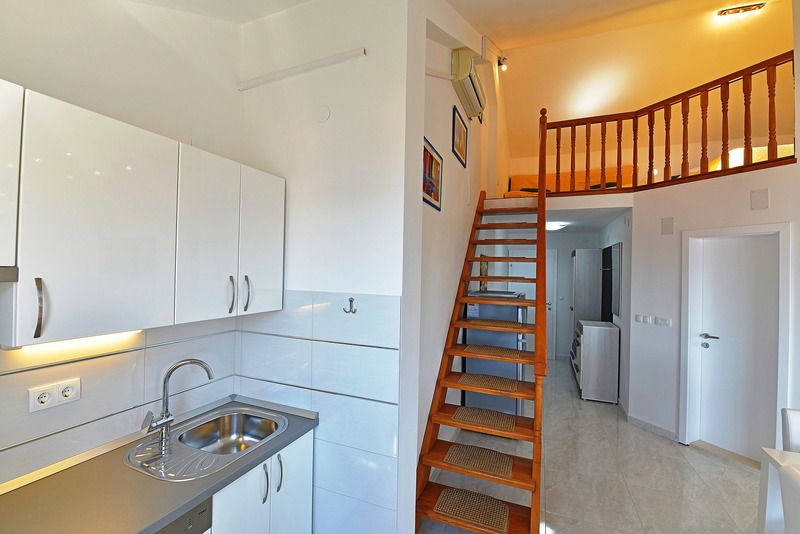 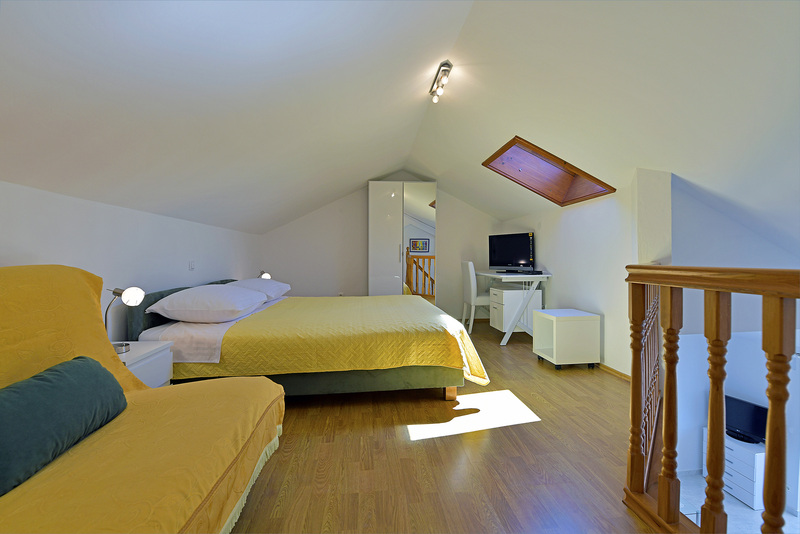 The apartment is air conditioned, has satellite TV and internet access free of charge.